Yesterday was the big Google day. They launched Google Ebooks, a bookstore/book platform for publishers, sellers, and buyers. You can read my initial reaction in "Google Ebooks, the Platform." Amazon isn't taking this threat lightly, and is rumored to announce a web based ebook reader today. "Kindle for the Web will enable users to read full books in the browser and enable any Website to become a bookstore offering Kindle books." Kindle for the Web has been out in beta for a while now, but only for book samples. 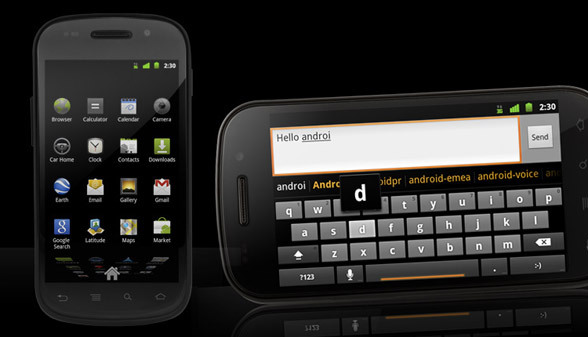 Google also launched the new and updated Google Nexus S, manufactured and cobranded by Samsung. This is the next generation Android phone from Google, featuring Gingerbread, a new look, Voice over IP, Google Voice, portable Wi-fi hotspot capabilities and a much faster CPU/GPU. Google Priority Inbox was updated yesterday with explanative notes about why emails have been prioritized, and a much faster learning engine when manually correcting results. Tumblr has recovered from a grueling downtime lasting more than 24 hours. While it isn't enough to seriously disrupt Tumblr's business, the growing number of downtime problems is cause for concern. It is very easy to simply switch to Posterous, Wordpress, and Squarespace, and the competition is fierce. Frankly, keeping up with growth has presented more work than our small team was prepared for - with traffic now climbing more than 500M page views each month. But we are determined and focused on bringing our infrastructure well ahead of capacity as quickly as possible. We've nearly quadrupled our engineering team this month alone, and continue to distribute and enhance our architecture to be more resilient to failures like today's. Geoff Cook, CEO of MyYearBook, write about how "Facebook Has It All Wrong When It Comes To Social Games" and how they are missing out on real time social gaming (synchronous). Richard Branson, CEO of Virgin, answers the question "If you had to choose one element, or perhaps strategy, that defined your success as an entrepreneur, what would it be?" More and more people are asking the question "The iPad and magazines: Is the honeymoon over?" The real question is not about customer information or Apple's 30% cut, but how can you adopt a multi channel strategy, if Apple limits one group of customers to a single device? Apple has to open up their platform to stay in the game. Loopt updated their app with tighter integration to Facebook Places, saying "Facebook is going to be the platform for the Internet, [...] We can't compete with these guys head-on but we can use this to make what we do better." Paper.li has expanded their social newspaper to include public posts from Facebook. One example: Here is a Facebook newspaper on what people share about social media on Facebook. My initial reaction... not enough quality.